﻿ The Cosmopolitan of Las Vegas - Autograph Collection Hotel, Las Vegas (NV) | FROM $105 - SAVE ON AGODA! "The view was amazing and a perfect spot to watch the firewor..."
Have a question for The Cosmopolitan of Las Vegas - Autograph Collection Hotel? "Service at this hotel was superb!" "It was a lovely stay." "Beautiful room, great facilities and brilliant location." 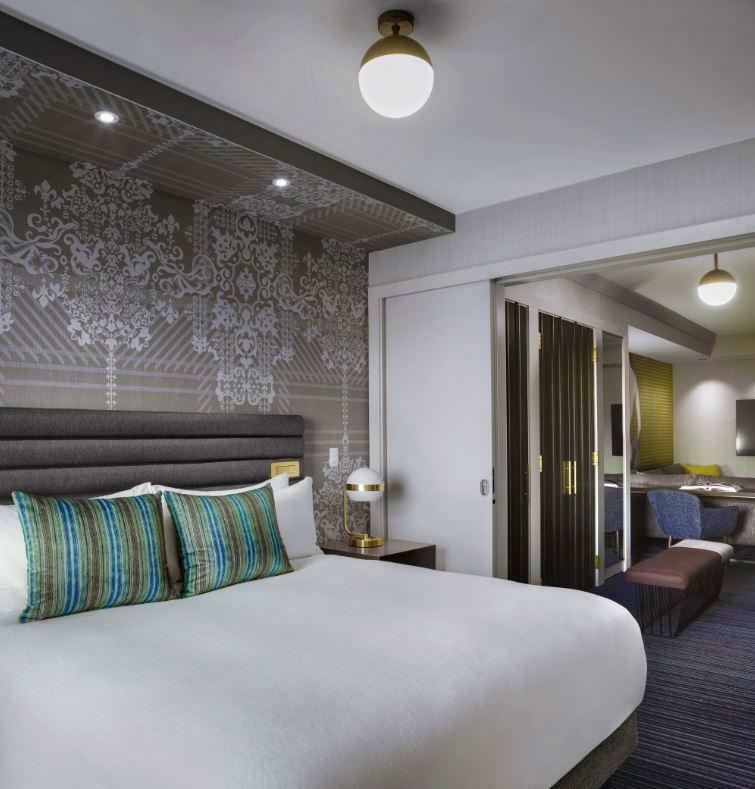 Situated in the heart of the Las Vegas Strip, The Cosmopolitan of Las Vegas - Autograph Collection Hotel offers guests 3,041 residential-style accommodation units. Each room is beautifully decorated by acclaimed architects and thoughtfully appointed with state-of-the-art facilities to provide guests with a space for total relaxation. 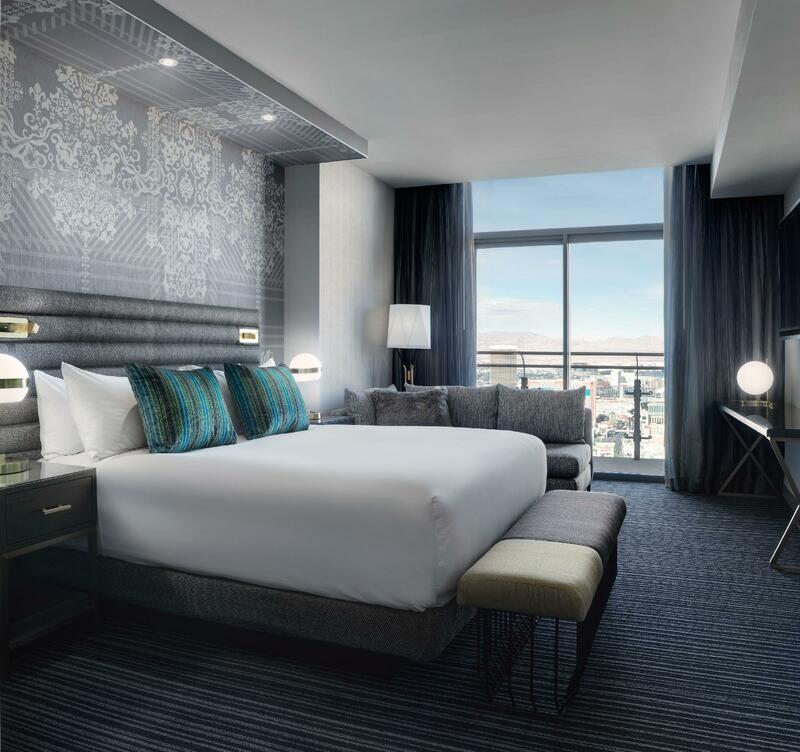 Offering views that are sure to command attention, the rooms feature private terraces overlooking every inch of the world famous Las Vegas Strip and beyond. Gaming enthusiasts will be pleased to find a 100,000 square-foot casino boasting the most advanced and exhilarating gaming technologies. To relax, spend your day at one of the hotel’s three distinct pool environments or enjoy a special treatment at the full-service desert-inspired spa and hammam. There is a wide selection of restaurants and bars to choose from, and guests can enjoy meals prepared by world-renowned chefs. With an exceptional location and the very best in services and amenities, The Cosmopolitan of Las Vegas - Autograph Collection Hotel delivers a truly unique experience. The Cosmopolitan of Las Vegas - Autograph Collection Hotel is pleased to announce that Momofuku is now open for dinner service daily from 05:00 PM to 10:00 PM. Momofuku is located on level 2 of East Tower. The menu, developed by Chef David Chang and Opening Executive Chef Michael Chen, draws from global influences and features steamed buns, noodles, and meat and seafood meant for sharing. There will also be various plays on classics, from prime rib to their version of surf and turf –– fried chicken and caviar. The Cosmopolitan of Las Vegas - Autograph Collection Hotel is pleased to announce that zuma will open for dinner beginning Saturday, January 28, 2017. Created and co-founded by acclaimed Chef Rainer Becker, zuma takes its inspiration from the popular Japanese izakaya, which uniquely embraces every element of the culture’s method of cooking under one roof. zuma’s menu features a variety of dishes from its three kitchens—the main kitchen includes dishes such as suzuki no sashimi, a seabass sashimi with yuzu, truffle and salmon roe, the sushi counter includes offerings like the dynamite spider roll, and the robata grill includes dishes such as the gyuhire sumibiya kikarami zuke, a spicy beef tenderloin with sesame, red chili and sweet soy. Upon opening, reservations will be available daily from 05:45 PM to 11:00 PM and the bar will be open from 05:00 PM to 12:00 AM. zuma is located on level 3, Eastside Tower. The Cosmopolitan offers a variety of pool experiences: the Boulevard Pool which offers unobstructed views of The Las Vegas Strip and a vibrant social scene. The Chelsea pool is an indulgent escape and refreshing retreat. Finally, the Marquee Dayclub offers a vibrant club experience for adults. Blue Ribbon makes a big splash at The Cosmopolitan, Inspired by their original New York location. Chefs and owners Bruce and Eric Bromberg will bring their vision of true American cuisine in a concept that combines oyster bar, American eatery, saloon and international culinary elements. "The Room was spacious and the facilities were excellent"
- Children aged seventeen (17) and under may share a room with their parents at no additional charge. - Maximum occupancy per room, including children is 4 guests. Dogs weighing under 25 pounds are allowed at the property for an extra charge of USD 50 per night. Kindly contact the property for more details. The extra bed is a rollaway bed and is subject to availability. Rollaway beds may only be sent to rooms with King inventory and there is a maximum of one rollaway per room. Identity Membership & Rewards Members: Self-parking is complimentary for Sterling status or higher, subject to availability. Must have Identity card present. Identity Membership & Rewards Members: Valet parking is complimentary for Gold status or higher, subject to availability. Must have Identity card present. During events and peak periods on The Las Vegas Strip (such as concerts or holidays like New Year’s Eve), special pricing may apply to ensure The Cosmopolitan’s guests have sufficient access to parking. Generally, event pricing is in effect from 04:00 PM - 11:00 PM. Identity members and registered hotel guests are not subject to event pricing. A mandatory amenity fee of USD 39.60 per room per night will be collected upon check-in. Guests who book Breakfast Included rate plan will receive 2 complimentary breakfast at Wicked Spoon per stay per reservation. Any additional guest is subject to an additional charge. Kindly contact the property directly for more details. We were upgraded to the wrap-around terrace suite with view of the fountains, which was an amazing setting for an excellent stay, but even without that it would have been great value for the money. The only inconvenience we had was that we checked in early and never received the notification that our room was ready, which made that we missed out on 6 hours in our gorgeous room. Very nice amenities (although sadly one of the pools was closed) and perfectly located. We stayed at the Cosmopolitan because our friends said they were staying there. It was close to everything without being in the rat race! Our room had the Japanese bath and massive bathroom! The room was large with lounge room as well. Separate bedroom if someone wants to sleep. The Cosmo is a little cheeky and did not even supply a kettle or coffee machine. You have to go down stairs and get that coffee that is suppose to wake you up to function. All in all a great hotel and if you get the chance for a funny show see Opium located at the Cosmopolitan. We laughed for a solid hour and a half!